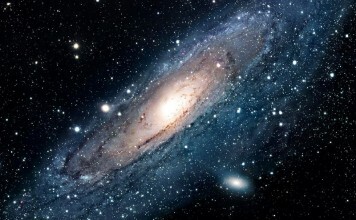 Although not many people practice alternative medicine nowadays, the many benefits of ancient teachings simply cannot be ignored. Be it a simple cleansing procedure or the cure for a more underlying condition, alternative medicine can provide an awful lot of benefits as long as you keep an open mind. Such is the case with Chinese cupping therapy and everything it involves. Known to work wonders to some extent, this type of therapy can alleviate a series of afflictions and pains while providing a therapeutic, soothing service at the same time. Over the next few minutes, we’ll take a look at the ten best Chinese cupping therapy kits the market has to offer at this point in time. 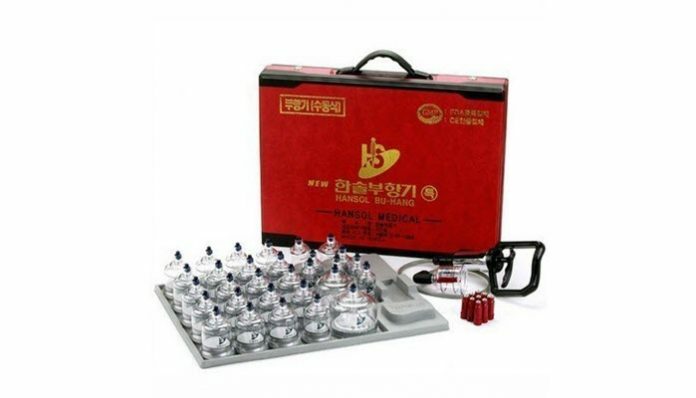 The Haci Magnetic Cupping Set is a premium grade Chinese cupping therapy set that features some truly great equipment. The set includes silicone bulbs that are extremely durable and everything else one could need when undergoing or performing these type of sessions. These silicone bulbs do not require a hand pump as each bulb comes with its own individual pump making the process quick and easy. 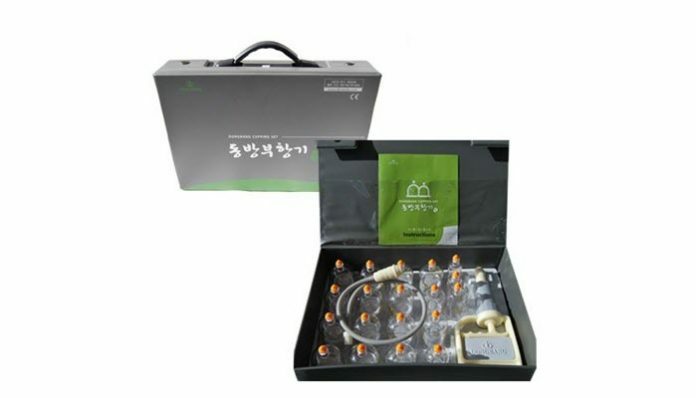 Also worth mentioning is that this therapy set can be used used for magnetic acupuncture, Chinese medicine cupping, magnetic acupressure, haci magnet cupping therapy, and medical magnetic therapy. Including 17 high-quality, premium grade magnetic cups, the Premium cupping set also comes with a pistol grip hand pump for easier suction and added convenience. The cups come in different sizes so that therapy can be carried out on different parts of the body. Extremely effective for releasing muscle and joint pains and aches, this cupping therapy set is very handy and easy to carry and can be used at home with ease. Resistant to shock and heat, the Dong Bang Bu Hang Cupping Set is one among the best of its kind and is extremely affordable. Including 19 pieces of high-quality strong cups, offering strong suction, this set can be used for effective Chinese cupping therapy. It also comes with 1 extension tube and 1 hand pump and is a great pain reliever. 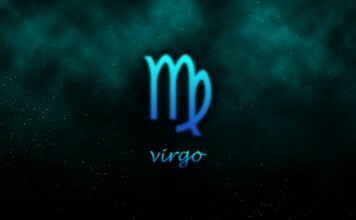 It also provides brilliant massage therapy and takes care of aches in different parts of the body. 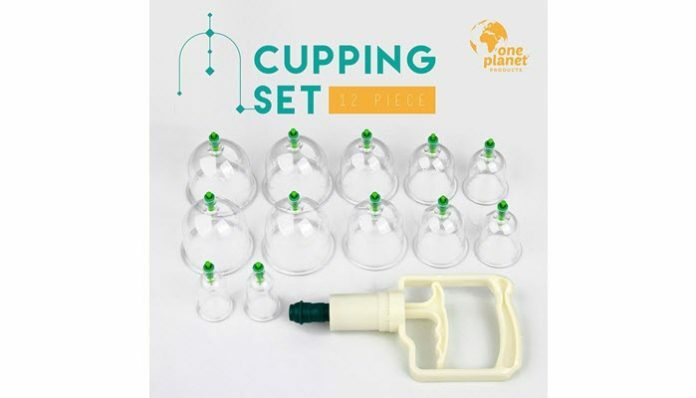 In comparison to other cupping therapy products, the 12-PIECE CUPPING THERAPY EQUIPMENT by One Planet is extremely easy to use and offers numerous benefits. The set features 12 varied cup sizes for different parts of the body, pressure release valves that enable you to remove the cup from your skin with ease and a pumping handle for easier suction. It should also be said that the entire set is made from high-quality materials that are approved by the FDA, a cupping therapy set that works towards offering you relief from pain, cellulite treatment, and bio-magnetic benefits. 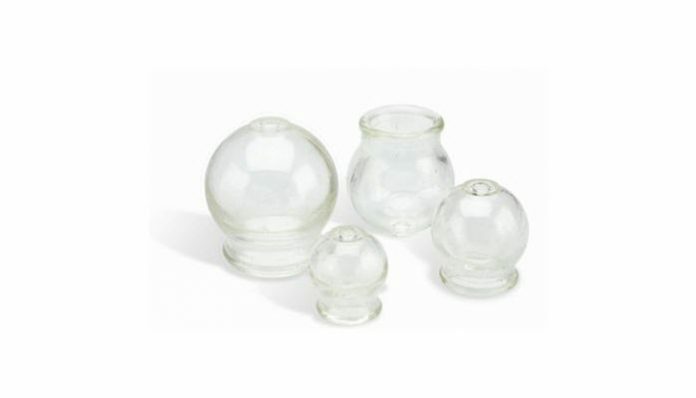 The 4 Cup Round Glass Fire Cupping Jars are the perfect choice if you would like to perform Chinese cupping therapy or Chinese massaging, including the common fire cupping method. It is the traditional method alternate to the basic Chinese cupping therapy. For this method, hardy, thick-walled glass cups are required and this set includes just that. These round glass cups are durable and do not absorb heat very quickly, making the process even quicker with positive results and can be used on any part of the body. Chinese cupping therapies for the face neck and eyes are not very common, hence why the right equipment is so hard to find. This handy face, neck and eye cupping set is the perfect choice for those looking for treatment and care to reduce wrinkles and help to firm and tighten the skin. It also improves blood circulation and skin tone and leaves you with a stunning glow. The set includes 2 large and 2 small thick-walled, silicone cups that provide a strong firm suction that can be removed by negative pressure. Hence this set does not require pumps and the easy to use silicone cups provide the necessary suction pressure and release. 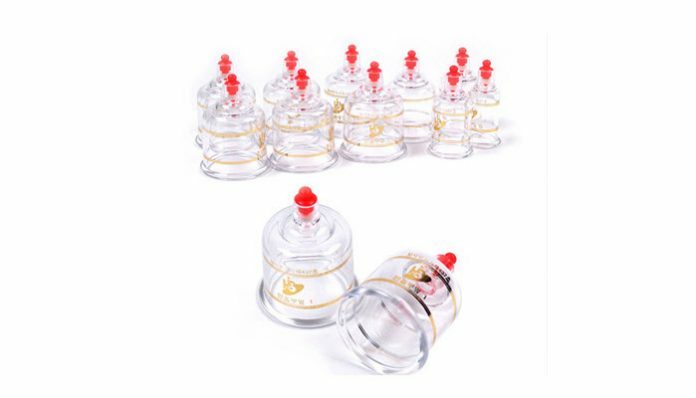 Thanks to its top-notch quality and performance, this 12 pieces deluxe cupping set from Size Matters is highly recommended by all those who have used it. The cups are made of durable plastic and come in 12 various sizes to match your need and the kind of treatment you are carrying out. The set also includes a pumping handle with tubing which makes it easier to use. Just attach the cup to your skin, and create suctions directly using the tubing. The tubing can be removed while the cups will remain in place to complete the process. This set is perfect for muscle pain relief and massages. If you are looking for a simple yet sophisticated cupping therapy or just a relaxing massage, then the Classic 4 – Professional Medical Silicone Cupping Therapy Set is the perfect choice for you. This set includes 4 cups – 1 small body cup, 1 eye/lip cup, 1 large body cup, and 1 face cup. The therapy and treatment work towards pain relief, muscle spasms, Chinese cupping, arthritis, massages, and can reduce cellulite. Providing long lasting results, if you purchase this set, you also get free membership and full access to online tutorials on the manufacturer’s website. This Cupping Therapy Equipment set with 30 different sized cups from Hansol Professional is the perfect way to eliminate pain and stress. The set includes cupping equipment handles for quicker and easier suction and the cups are made of sturdy plastic that is long lasting. It also features an extension tube and a user guide in English. Among others, this cupping set with 30 cups from Hansol Professional also comes with magnetic inserts for quick pain relief. 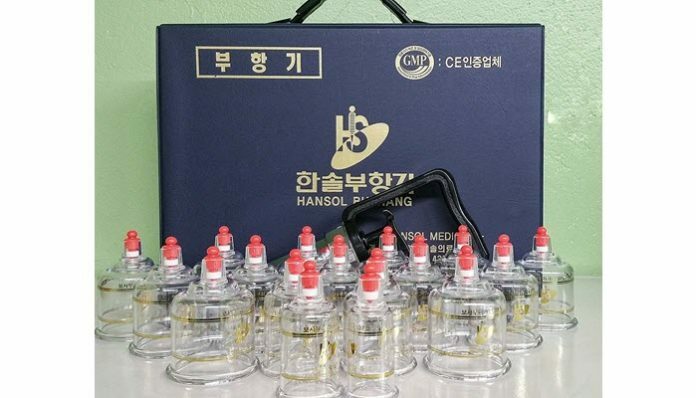 The Hansol Professional Cupping Therapy Equipment Set is one of the most highly rated products out there, one that is rightfully seen as being among the best of its kind. 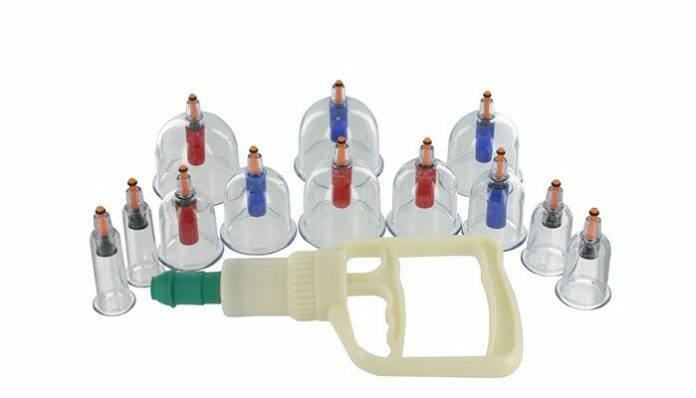 Featuring 17 premium grade plastic cupping cups in assorted sizes depending on the nature of your therapy, it also comes with a pistol grip hand pump for easier suction, especially if you are carrying out the process at home without a therapist. The set comes with a conventional carrying case and a user guide to help you better understand its use.